The Valsequillo Almond Blossom Route Festival in February is an excellent excuse to drive to the fertile and green areas of Gran Canaria, while at the same time getting to know Canarian tradition and tasting Canarian food. The Ruta del Almendro en Flor, as it is called in Spanish, takes place every year on the second weekend of February in Valsequillo. 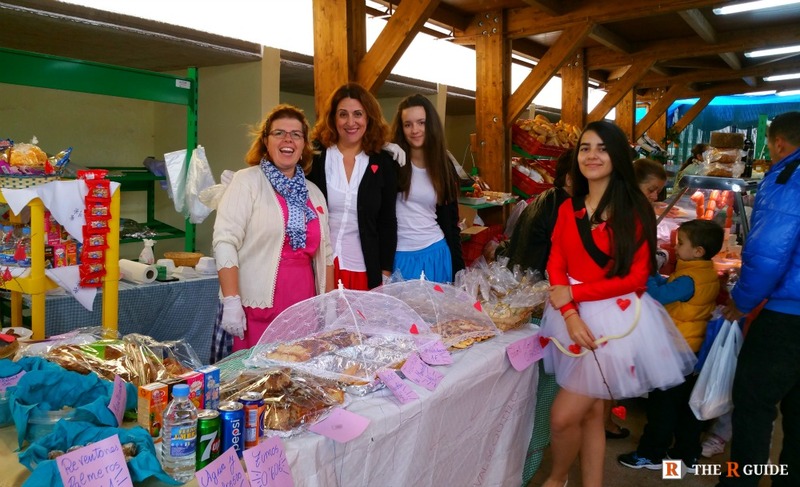 On Saturday, the villages Tenteniguada and La Barrera have their main days of celebration while on Sunday Las Vegas and Valsequillo, the main town, have theirs. Those main days are called Dia del Turista – Touristday, to promote their villages and traditions to the valued holiday makers of Gran Canaria. Villagers decorate different stands and offer local produce for the visitors to taste. There are many different events going on during the day time and the evening. You can download the full Ruta de Almendro Program HERE. 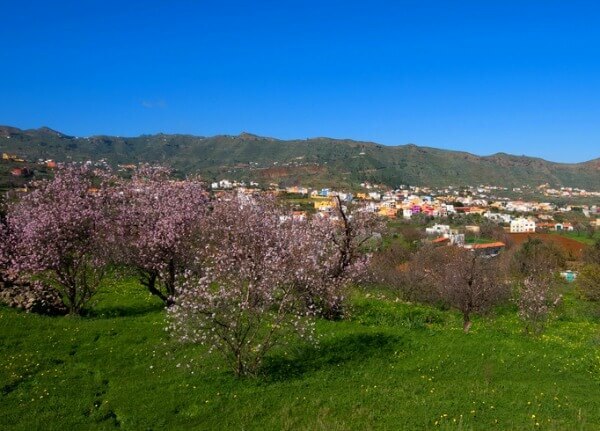 If you missed the Almond Blossom Festival in Tejeda and the one in Tunte a week before, then you have a chance to take part in the Valsequillo Almond Route. The area is very different to the south of the island. Valsequillo, one of the main cheese producers of the island, is the main town of the small municipality of the same name. It is a very idyllic town and landscape of Gran Canaria with an eternal spring weather. You can find large areas of green pastures all year around. Rain can surprise you any time of the year and the winter temperature can drop to 5ºC. Bring warm clothing along, just in case.